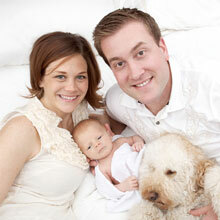 Labradoodles are fun, loyal, and great family dogs. Plus, they’re SO CUTE! Choosing a new puppy has so many unknowns. How are the puppies raised? Will your new dog shed a lot? 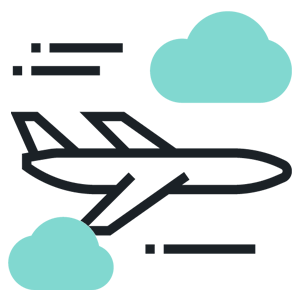 Will they set off your allergies? 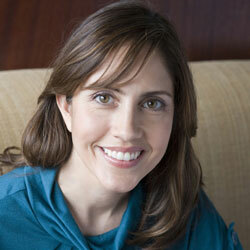 What if your favorite color choices aren’t available? 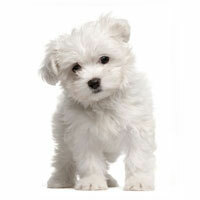 Will your puppy be healthy? Will she or he be well-behaved? What if none of your local breeders have any dogs available? 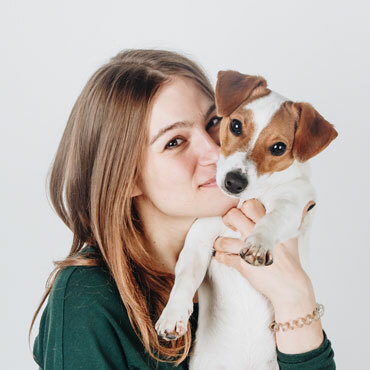 The list goes on and on...but what if finding the perfect dog was way easier than that? 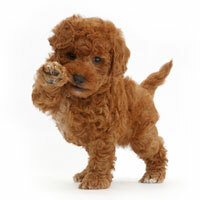 Adorable, intelligent, allergy-friendly and so much more, our Australian Labradoodles are truly the pick of the litter. 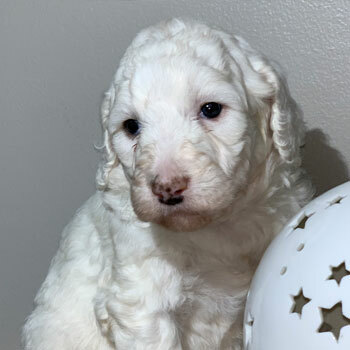 Combining the smarts of a Poodle with the loving personality of a Labrador Retriever, Labradoodles are wiggling their way into homes all across the country. 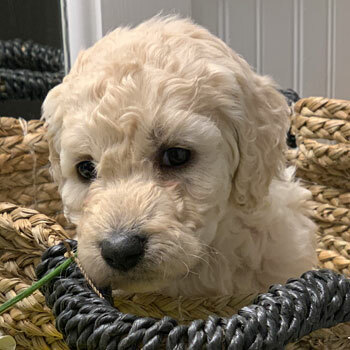 When you and your family are searching for the ultimate dog and a new best friend, there’s no better place to be than right here—and no better dog than an Uptown Labradoodle. 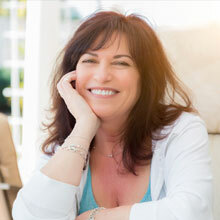 Hair all over the sofa and constant bouts of sneezing and coughing? Not with our Australian Labradoodles! 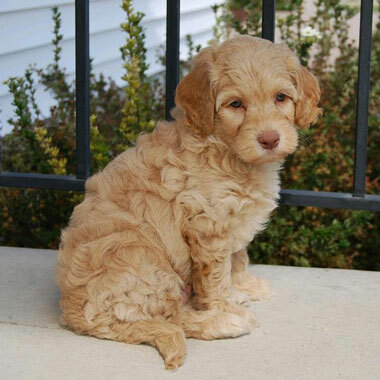 Our Labradoodles are bred to be less “boxy” looking and cuter than other breeders. There’s a reason so may Uptown Pups are Instagram famous! Our Doodles are renowned for their temperament. These friendly, patient pups make the perfect companion for all of life’s little adventures. 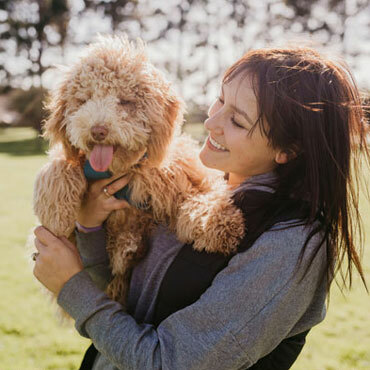 From basic obedience to house training and beyond, you won’t find a better pupil or more eager learner than our Labradoodles. 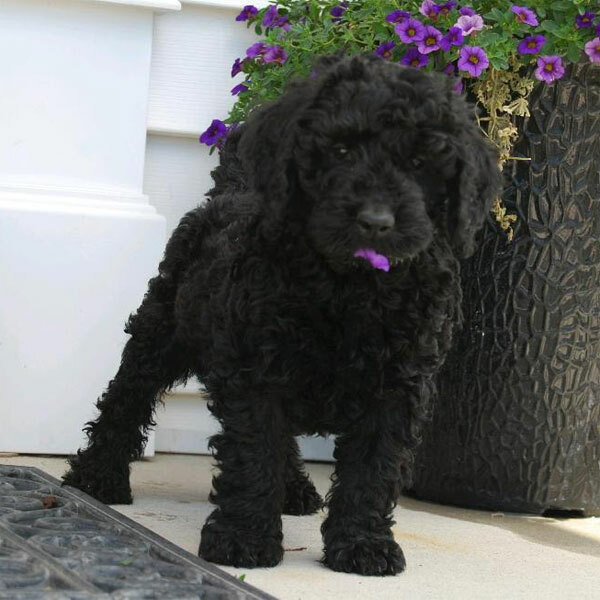 Labradoodles thrive in just about any family, and make the perfect buddy for young kids, other pets, and adults of all ages. 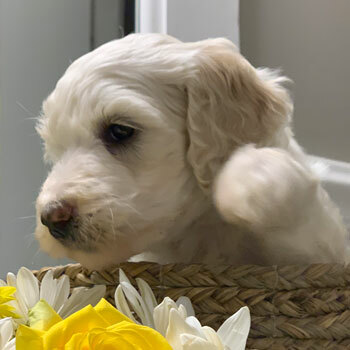 Pick your perfect size, pick your perfect color, pick your perfect dog—Labradoodle pups offer more choices than you can shake a stick at. Our kids love cuddling with our new Labradoodle puppy! When I see the joy in their eyes I just know Uptown was the best choice. Jojo is beyond my wildest expectations. I don’t know if all Doodles are as smart as him or what, but he’s the coolest dog ever! Our family never gets tired of coming home from a long day and seeing Tulip’s adorable little face waiting for us. 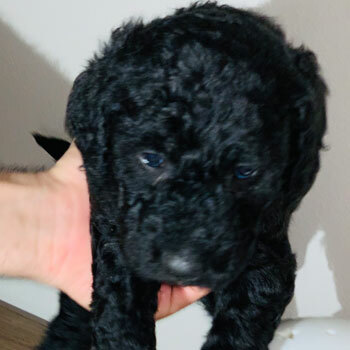 Labradoodle puppies for sale near me! These pups are ready to go to their forever family. 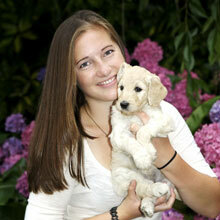 Still have questions about Labradoodle puppies? We have answers! 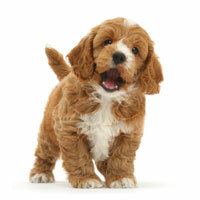 What is an Australian Labradoodle, exactly? 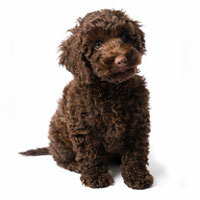 Unlike American Labradoodles—which usually have just Labrador Retriever and Poodle parents—our multigenerational Australian Labradoodles are made of six parent breeds: Poodle, Labrador Retriever, Irish Water Spaniel, Curly Coat Retriever, American Cocker Spaniel, English Cocker Spaniel. 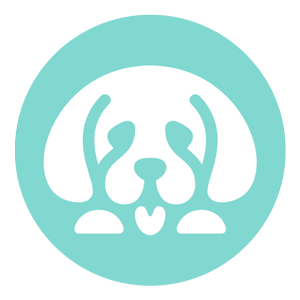 Each of these parent breeds was specifically chosen to pass down certain traits with the end goal of building the ultimate dog. Our dogs are multigenerational, meaning our Labradoodle pups have Labradoodle parents, and those parents have Labradoodle parents, etc. 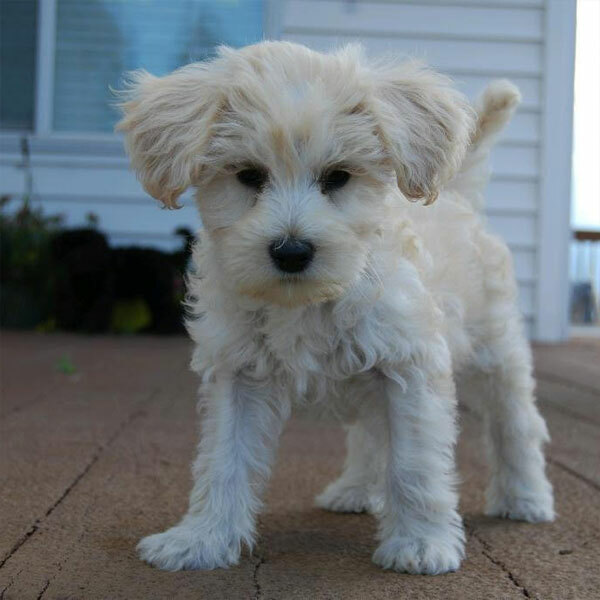 On the flipside, many Labradoodles (such as American Labradoodles) are a direct cross between Poodle and Labrador Retriever parents. The benefit of breeding multigenerational puppies is consistency. When you breed multigenerational puppies like we do, you have far more control over the temperament, health, size and coat features of the pups—it’s better for our puppies, and better for our customers. 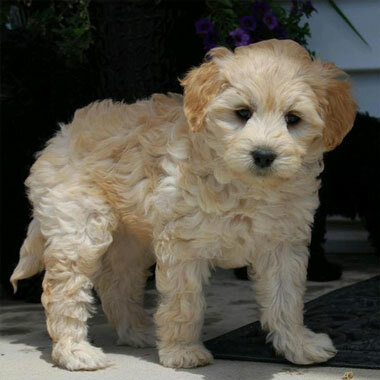 Australian Labradoodle cost—are they expensive? 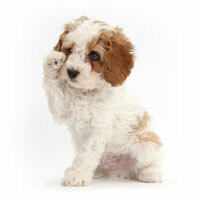 Wondering how much is a Labradoodle? Uptown’s Australian Labradoodle prices are highly competitive. 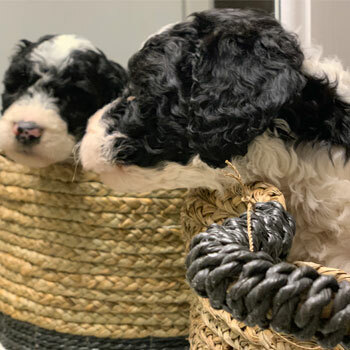 While Australian Labradoodle prices vary, just be careful if you see Doodles listed for way less than average—you could be talking to an inexperienced breeder, or worse—a puppy mill where Labradoodle price will be the least of your worries. 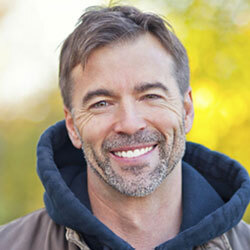 Our extensive breeder network means that you could have an Uptown breeder within driving distance of your home! 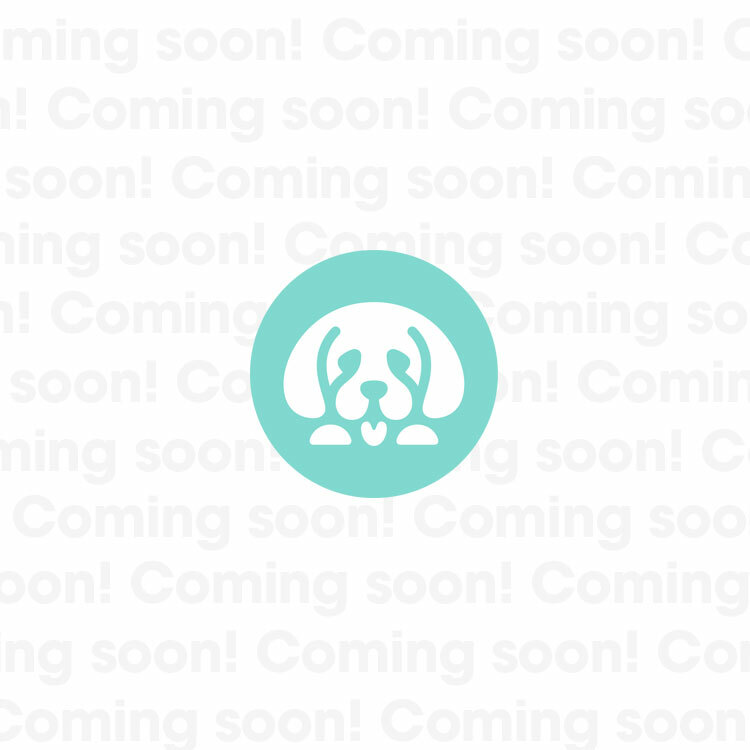 With that being said, our network is still growing, and local Australian Labradoodle breeders may be unable to fulfill your demand. If it’s necessary to ship your pup from out of state, just remember to show your new friend some extra love and attention when he or she arrives! 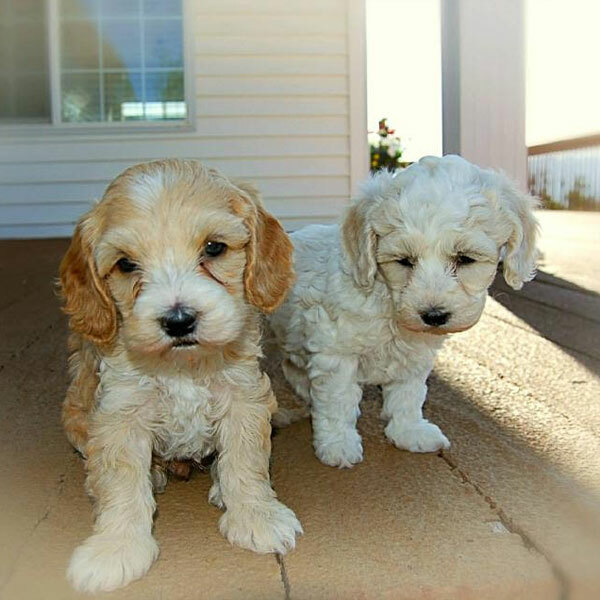 Can I choose my own full size or mini Labradoodle puppies for sale? Absolutely! 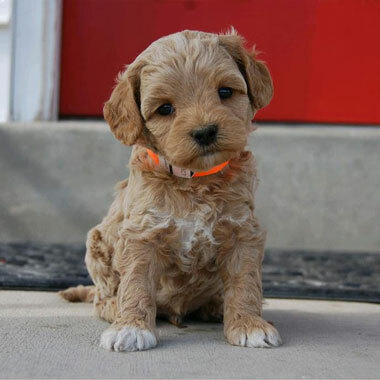 We breed dogs in a range of sizes and colors (and trust us, there are tons of Australian Labradoodle colors), making it a blast to pick your favorite. 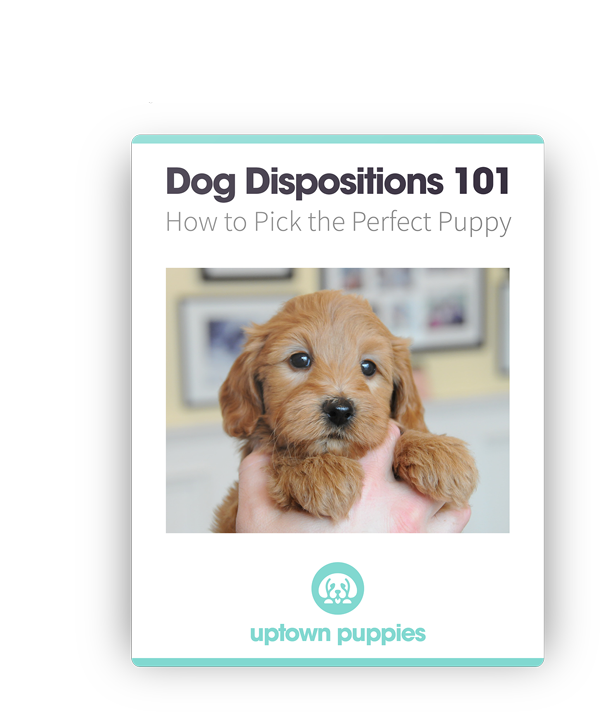 Just be aware that Uptown only has a select number of litters available per month—if your preferred puppy is unavailable, you might have to jump on our waitlist until new litters arrive. Absolutely! Our breeders name our puppies to make it easier to keep track of them, but you’re more than welcome to give your new pal whatever name you desire. 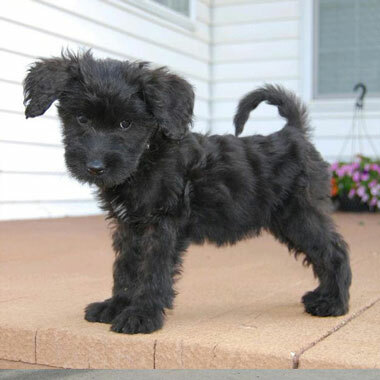 Do you have full size and mini Labradoodle for sale right now? 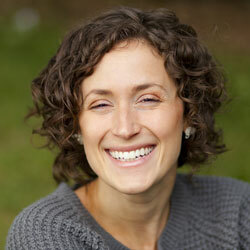 Looking for a miniature Labradoodle for sale? 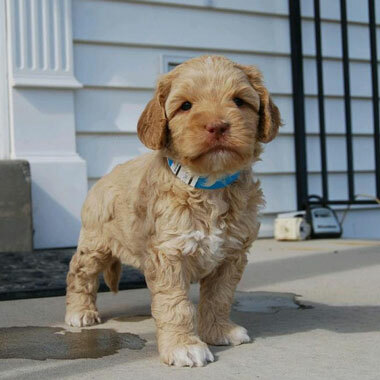 Yes, we have Australian Labradoodle puppies for sale available now! 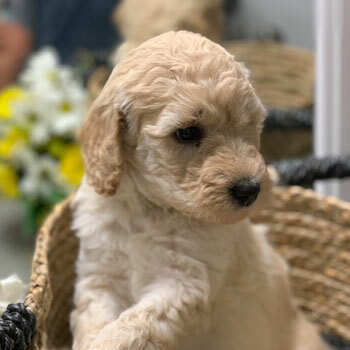 If you’re fresh off a Google search of where to buy Australian Labradoodle ASAP, keep scrolling down to check out some of our brand new litters! 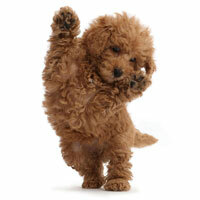 Ready to find the perfect Labradoodle? 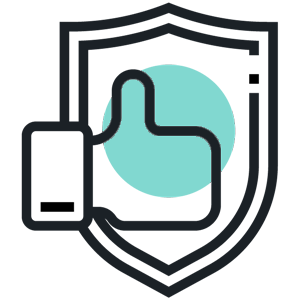 Get the reservation process started below.